Oct. 6, 7 & 8: 12 – 6 p.m. Learn about Indigenous culture through traditional dress and crafting techniques and observe and participate in traditional dance and song. Indigenous artisans will sell traditional art and jewelry, food and beverage to support their tribes and other Indigenous Peoples Day celebrations in the future. Sunday, Oct. 7: 1 - 6 p.m. Location: Boulder High School, 1604 Arapahoe Ave. Welcome the Arapaho to their homeland as they share their culture, history and current lives through presentations and performances. Sunday, Oct. 7: 3 - 6 p.m. Location: Boulder High School – Small Gym, 1604 Arapahoe Ave.
Join us to learn, dance and engage in interactive cultural activities with our Arapaho relatives. Monday, Oct. 8: 8 - 11 a.m. The parade begins at 15th and Pearl St. and ends at the Peace Garden. This event will be a profound moment of healing and celebration. Monday, Oct. 8: 12 - 4 p.m.
Join the Native American Rights Fund and friends as we provide important dialogue on current issues of importance to Indigenous communities. Monday, Oct. 8: 3 - 4 p.m. Sponsored by the City of Boulder Human Relations Commission and Boulder Arts Commission. All events are free and open to the public. Indigenous Peoples Day Celebration 2016 from City of Boulder on Vimeo . Indigenous Peoples Day is part of a national effort to recognize and honor the existence, culture and contributions of the original inhabitants of North America on the day that has for the past 82 years been observed as Columbus Day. Indigenous Peoples Day celebrations have been adopted by cities and counties across the United States: Albuquerque, NM; Alpina, MI; Anadarko, OK; Berkeley, CA; Bexar County, TX; Lawrence, KS; Los Angeles, CA; Minneapolis, MN; Olympia, WA; Portland, OR; St. Paul, MN; Santa Cruz, CA; and Seattle, WA. Locally, the City of Denver passed a one-year proclamation in 2015 replacing Columbus Day with Indigenous Peoples Day; this designation was made permanent the following year. 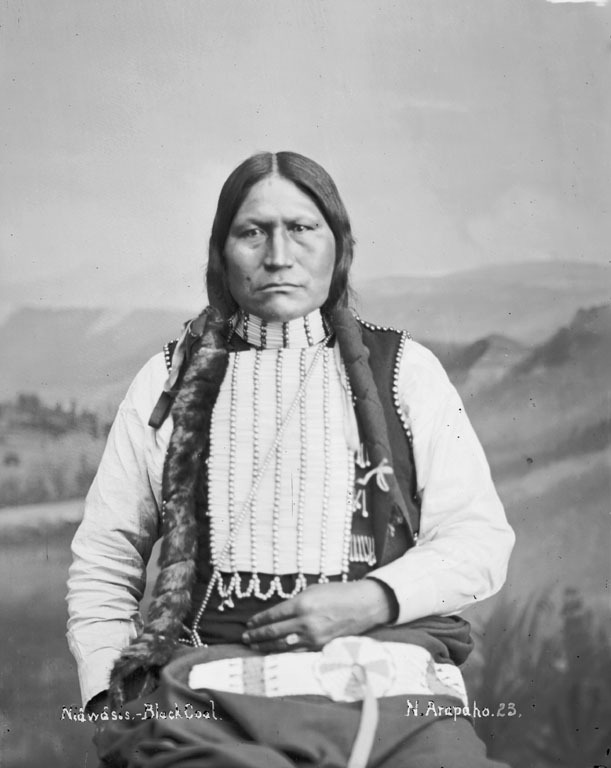 In a 2016 report prepared by the Governor of Colorado’s Commission to Study American Indian Representation in Public Schools, commission Chair Clement Frost of the Southern Ute Tribe called for the state to “recognize the role of American Indians in Colorado’s history and to ensure that this history is taught comprehensively and accurately.” 1 At both a national and regional level, it is important to realign the public’s knowledge toward a more whole, realistic historical perspective and provide opportunities to share the stories, culture and history of the Indigenous Peoples of North America. A community-initiated project with the assistance of Mary Young, the City of Boulder Mayor pro tem, to adopt Indigenous Peoples Day took place throughout 2016. The committee expressed a high-level of commitment to two objectives in the resolution process: First is a focus on the Boulder area and its significance to Native American culture. Second is an accurate history of Native interaction with the Europeans who arrived largely in the 19th century. In response to the committee’s proposal, a resolution was passed by City Council on Aug. 2, 2016 that officially recognizes Indigenous Peoples Day. The earliest known human inhabitants of Boulder, the Clovis people, left artifacts that date back to approximately 11,000 BCE. Archaeologists believe that they, along with their camels and other animals, congregated at a site along Gregory Creek. Yes, camels roamed around Boulder Valley at that time! In subsequent years, many Paleo-Indian cultures inhabited areas of present-day Colorado including the Anasazi. These ancestral Puebloans are known for their rich culture of architecture: cliff dwellings and pit houses; crafting: basket-making, pendants and bracelets; rock art; agriculture and trade. 1 Gov. Hickenlooper, Commission release report on the Study of American Indian Representations in Public Schools. (2016, April 18).